Single-use bioreactors are increasingly used in research, process development, and production. Like conventional reusable systems they have to allow the setup of optimal growth conditions. A sufficient supply of oxygen is crucial for aerobic bioprocesses, and the velocity of oxygen entry into the culture medium is often described by the volumetric mass transfer coefficient (kLa). 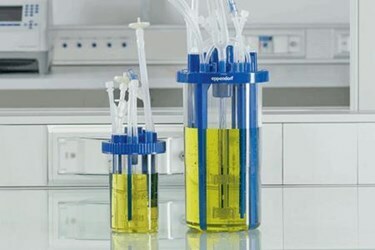 Because single-use bioreactors offered by different manufacturers vary in parameters critical for oxygen transfer—like mixing, power input, and gassing strategies—they are often not directly comparable to each other and to conventional glass and stainless steel vessels. Even kLa values experimentally determined by the manufacturer or users are not necessarily comparable, because the results might differ dependent on the method used.